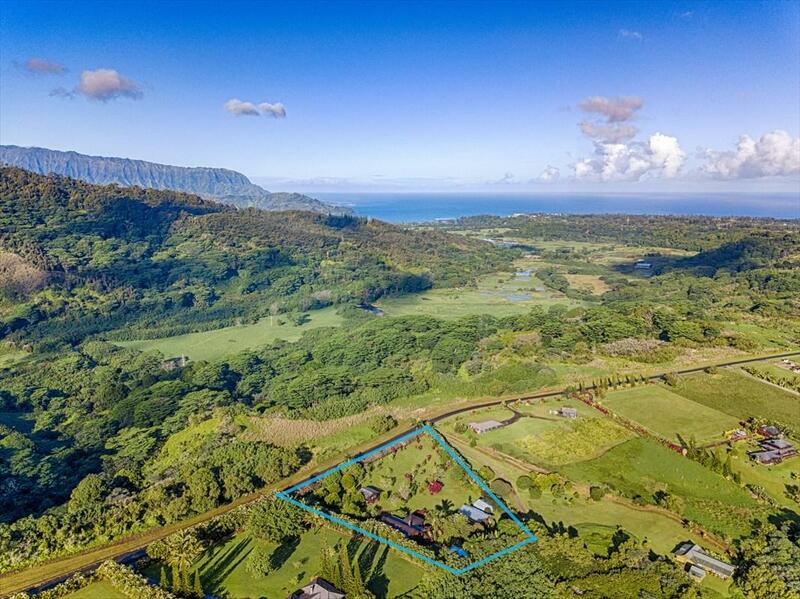 Ideally situated on high-ground overlooking Hanalei, this private and expansive 2.5-acre property includes a main residence, detached Agricultural Processing Kitchen, and a swimming pool.Enjoy mountain and ocean views in all directions from one of three large covered lanais. 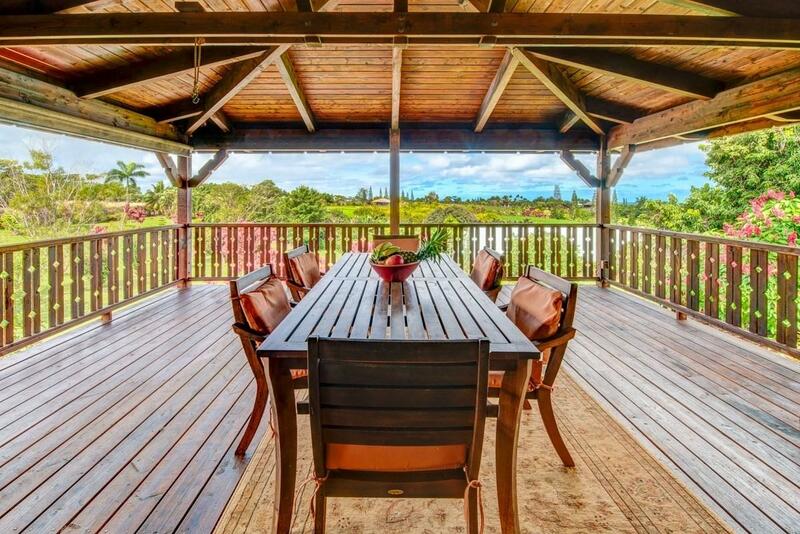 The 3-bedroom/ 3-bath main residence features open beam ceilings, skylights, and a fireplace. The master bedroom has a newly remodeled bathroom and walk-in shower. 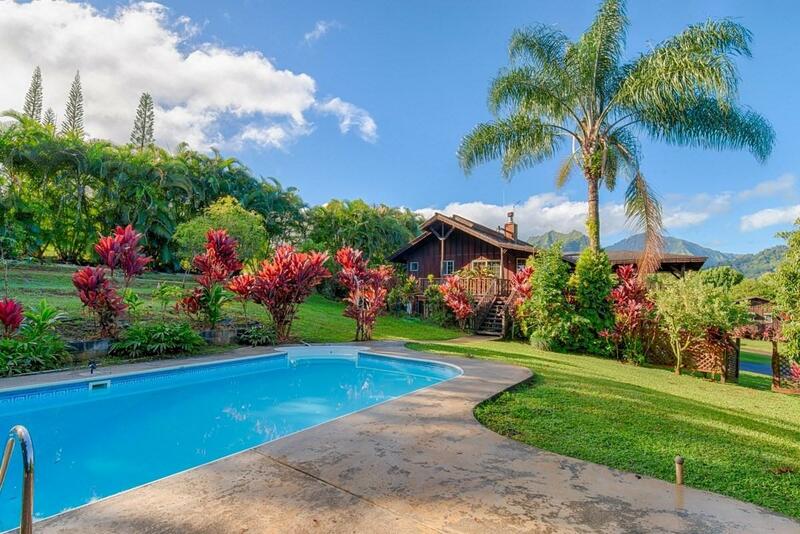 Enjoy the large Hot Tub located on the outdoor lanai adjoining the master bedroom. The downstairs of the main dwelling is well separated and includes two more rooms and, a full bath, and a workshop. A pool located next to the main residence is perfect for cooling off on hot summer days.There is fully permitted and detached Agricultural Processing Kitchen on the property, which the owner currently uses for small food production.This property is extensively landscaped with a variety of mature, fruit-bearing trees including oranges, lemon, lime, papaya, avocado, lychee, starfruit, and a large greenhouse. 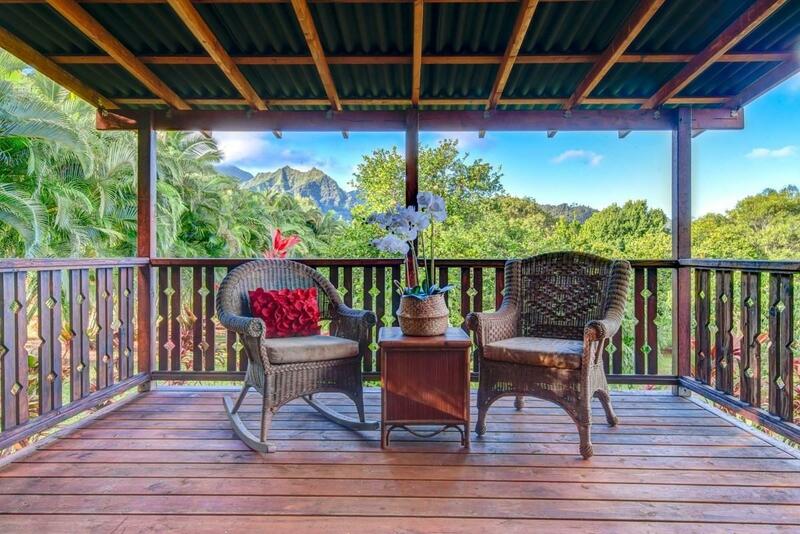 Other important features include:*Photovoltaic Solar System*Solar Water*Fully Fenced with Gate at EntryLocated close to beaches and the outdoor lifestyle the North Shore of Kauai offers. A great property for anyone who wants to grow food and run a small business.